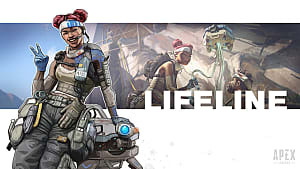 The road to victory in Apex Legends takes many forms. You can take the slow route, methodically navigating the map, collecting loot and dealing with threats only when necessary. You can also go headlong into a firefight, pitting your skills against insurmountable odds. Or, you could take the middle road, dropping into assured conflict but with enough escape routes to slow the match down. 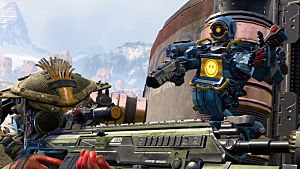 In this playstyle guide, I'll break down three main strategies players use to dominate the field in Apex Legends: Dropship, Edges, and Thick of Things. Each playstyle has its perks, and players of all stripes have won by using them. It's the sexiest feeling: dropping onto a ship bristling with high-level gear, eliminating the opposition, then jumping hundreds of feet down to take the fight to everyone else. 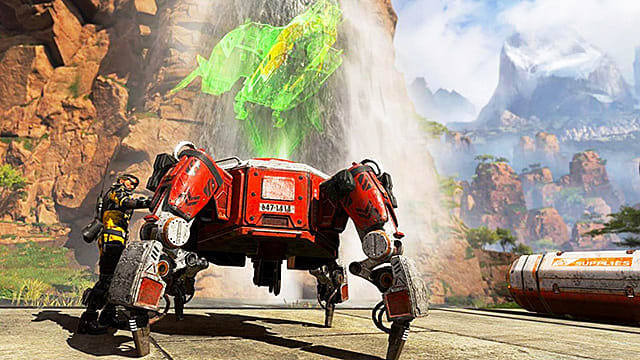 As brazen as it can be effective, hitting the Drop Ship is a rush unlike anything else in Apex Legends. But how do you win it? Here are five of the most valuable tips I can give you. The Jumpmaster should ideally aim to land inside the ship. The loot in the cargo hold is easy to see and quick to pick up; the ship's layout offers plenty of different options for cover and juking. You will also get a good gauge on the progress of the fight topside this way. Is one part of the ship quiet? Head up there and flank. Is the entire area a chaotic mess? Same deal, just with more risk. In practice, many players end up landing on the top of the ship, so you've already got a leg up if you're inside. 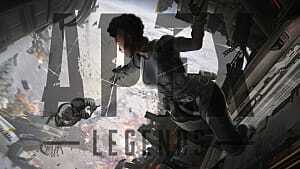 The movement in Legends is fast and fluid enough for you to out-strafe enemy fire at close range. If your foe doesn't have armor, they're going down in just a few hits. Because the ship spawns randomly, you won't always land on it first, so you might not immediately find a gun. 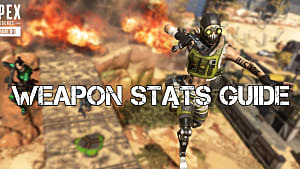 Use the melee attack's significant knockback to remove some competition or take out the player who did find a gun; then take the fight to everyone else. Understand two things: 1.) you won't win every Dropship fight, and 2.) make every one count. If, for some reason, you land late or land in a bad spot, your attack options quickly dwindle. If you find yourself surrounded and without a gun, there is no shame in jumping off. If you've got a gun and everyone else is dead, other options open up. 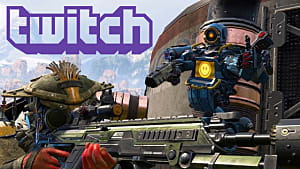 The dropship's location is often centralized and you can use it as a base of operations, stockpiling gear from its surroundings and waiting out the mid-game. You could ride it to a safe location, as well. Probably the best choice if you've cleared the thing is to ride it for a little while as you listen for gunfire, then jump down into the hot zone. Yes, I know this is obvious, but you'd be surprised how many people go for the dropship without any idea where the guns spawn. Learning the loot zones will take a little time and a few deaths, but once you have a handle on what spawns where and about how often, you'll have a much smoother experience. This tip is less about squad play and more about pure survivability, especially if you're playing with random teammates. If the jumpmaster delays the drop for too long but still goes for it, it would be prudent to break off and head onto the lower battlefield. There's no purpose to hitting the dropship if it's already going to be picked clean by the time you land. If you can get your teammates' respawn tokens either when the ship "lands" or if they're able to crawl down before they're boxed, you could save yourself both a headache and, perhaps, the round. This one's pretty explanatory: drop at the edges of the map before the first ring appears and loot in relative safety. By doing so, you'll be sticking to the outskirts of the safe zone, too, and often racing the gas. But if you're looking for a more consistent way of winning, it'll be hard to find. This strategy might be slow, but the tortoise and the hare isn't a classic story for nothing. Here's how you get the most out of Edges. Odds are, you won't be the only team headed to the fringes of the map. Even the farthest reaches are popular for their safety and abundance of loot. Communicate with your squad if you see others landing near you, or even in the general vicinity. Because they can see you, too, they might see you as nothing more than tasty loot goblins. Flip the script and get the jump on them first. There won't be too many teams to immediately threaten you, but there are bound to be at least a couple. Like you, they generally know where you landed and that you could be coming for them at any time. Surprise, then, is your best friend, and stray gunfire is the enemy of surprise. 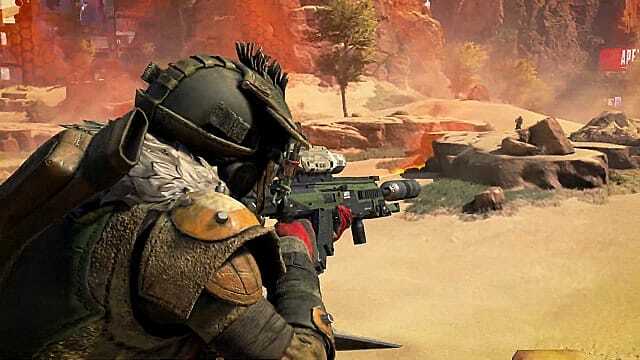 Remember that in Apex Legends sound is paramount and highly specific, so a single shot will tell everyone within several hundred meters where you are. If you see a member of an enemy team as you're looting, don't start shooting right away. Tail them or make a ping of their location. Unless you know you've got a kill shot, do not engage. You have a lot of time at the beginning of a match before the ring begins to close. Use it. Gut every building of your landing zone for loot. Even if you can't use some of the ammo on the ground, pick it up, dropping it only when the zone is about 30 seconds from closing. You must deny the few enemies around you from having any advantage over you, and that means squirreling away everything you don't want them to have. The kill zone might close faster than you can run, but if you're already about halfway ahead of it before the buzzer, you can get to safety long before you start taking damage. Make sure your squad is mindful of time, and use the landscape around you. If there's a chasm or vantage point at the ring's edge, don't hesitate to take control of it by any means necessary. Keep your ears out for combat beyond the safe zone as well. It's easy to get lost in a firefight and forget how close the gas is, and you can eliminate some of your competition from safety as they wildly sprint toward you. In the late game especially, you'll want to grab the edge of the safe area. The center is often a wide open space, and those are nothing but kill zones. 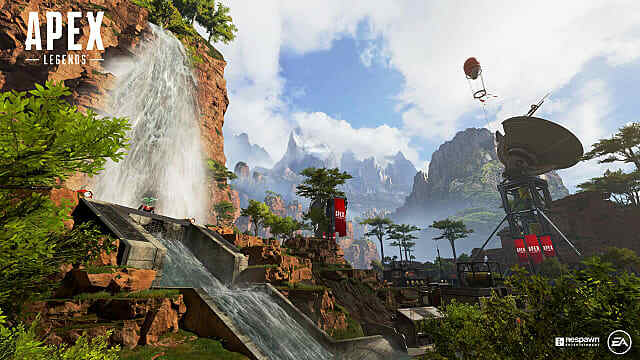 The map in Apex Legends is filled with things to climb; it also has plenty of high areas that overlook major loot zones. Put these to good use as both scouting points and defensible areas. If it's early in the match, you're likely to see at least one team beneath you, but probably not at a range that's comfortable. Mid- and late- game, a simple hill or house can be enough, and as stated above, they are often at the edges of the gas. Don't be afraid to use them. Your enemies won't be. No, this isn't just Dropship without the ship, but it does require about as much forethought. 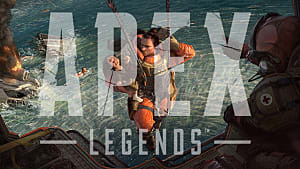 There are plenty of great places to land in Apex Legends. Heck, we made an article all about the best landing spots. And one about the best loot locations. Read those now, because you won't be the only team dropping at these optimal landing zones. You're going to be in for a fight, but if you're playing in the Thick of Things, that's what you want. Here are a few tips on how to win a hot drop. Being all bunched up when you land is a recipe for a quick wipe. Instead, you and your squadmates should land in a rough triangle formation, picking up loot from the three "points" where you land, then meeting in the middle. You're liable to catch at least one team off guard, and even if it's suddenly three against one, your teammate at another "point" is close enough to back you up. Be aware this strategy takes significant communication and coordination, but when pulled off well, it can throw multiple team fights into chaos. Chaos you are your squad controls. You neither know where their teammates are, nor if your own squad probably in the best position to support you. Instead, gather the loot you can and take a short moment to measure the situation around you. Are there poor souls running about with no guns? Are there nearby doors open? Do you hear shots, or is everything eerily quiet? Once you have at least some bearings, you can take the fight to your enemies, but be aware that some of them could be taking more time than you did to assess their surroundings, and all you've done is make yourself a target. You can pick up guns and other essentials from the ground too quickly. Make sure that, if you're ready to take on whole enemy squads, you can gear up quickly and efficiently. That means you don't want to stand around trying to decide which stock you want, or which ammo you need. Pick up only what's necessary to start a fight and then go out to start it. If you and your squad are any good, other people will have done much of your looting for you. Or don't chase unless your team can form a pincer. Chasing gives your opponent an advantage because if they know you're behind them, they can prepare a trap of their own, and you'll be running right into it. 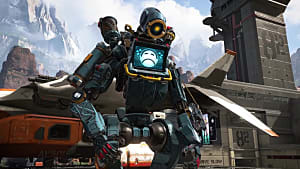 It's an FPS rule as old as the genre itself, and in team-centric games like Apex Legends, there's a high chance you won't be rushing headlong into just one player either. The only time chasing is ever an option is when you see a single player split off from their squadmates and you know you can catch them from multiple angles. Otherwise, let them get away. They'll be back for you eventually. This list is by no means exhaustive, but strategies like these should give you an edge in any of the situations mentioned. Some of them require practice, some of them require precision, but all of them are tested and effective. It all simply depends on how you want to play them. 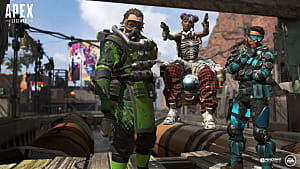 For more tips and guides on Apex Legends, be sure to head over to our guides hub for the game. 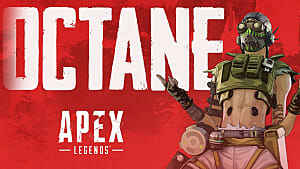 Is Apex Legends on Mobile?